This version of this document has details specific to version 4.16.09. Any references that are specific to previous versions are oversights and should be reported as bugs. 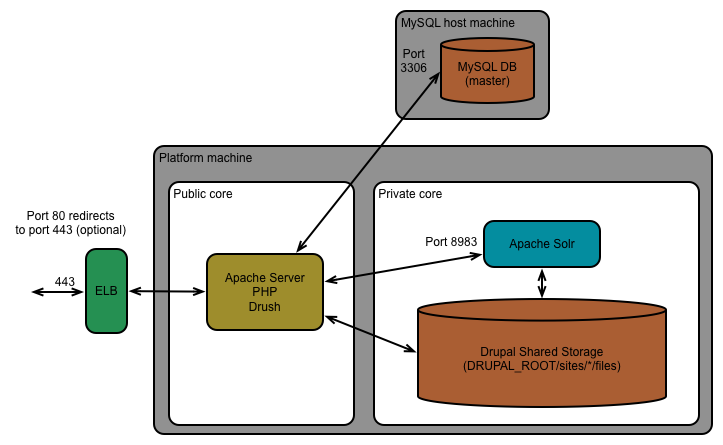 Small - The Drupal MySQL database is installed on a separate machine from the other components. Note: If you install the portal on RedHat 7 or CentOS 7, then the installation script installs MariaDB and not MySQL. MariaDB is functionally equivalent to MySQL. Depending on your topology, you can have a single Apache server instance (single machine and small) or multiple (medium and large). For medium and large, you must provide a way to synchronize the instances. Apigee, but it is not enabled by default. Only enable it if you have a large amount of data on the portal. See Developer Services portal installation for instructions on enabling it. 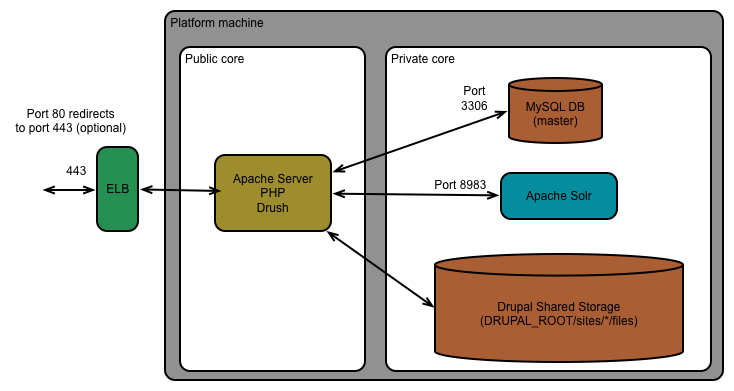 The database used by Drupal. For the small, medium, and large topologies, the MySQL instance is on a different machine from the other components. If you install the portal on RedHat 7 or CentOS 7, then the installation script installs MariaDB and not MySQL. MariaDB is functionally equivalent to MySQL.